"Amazing, the colors are perfect!" This is my passion as a dentist. I want to be one of the world's very best at front teeth cosmetic dentistry. I have been told by many dentists that I am already in the top 1% for my cases and artistic ability with creating beautiful smiles and teeth. 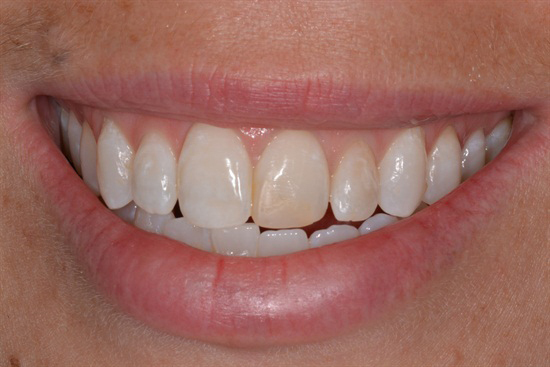 I very rarely use porcelain veneers or crowns for front teeth esthetics as they have more tooth removal typically. I would not want this for my own teeth. I would want adhesive, additive artistic dental bonding by a very skilled dentist without drilling my teeth. That is what I offer my patients. I hope that this Cosmetic section and also the veneers and bonding section are helpful. All photographs are my own. All patients have granted me permission to use their face photos and teeth photos. Names and locations have been altered for privacy. I hope that you can use this page as a resource for cosmetic dentistry. 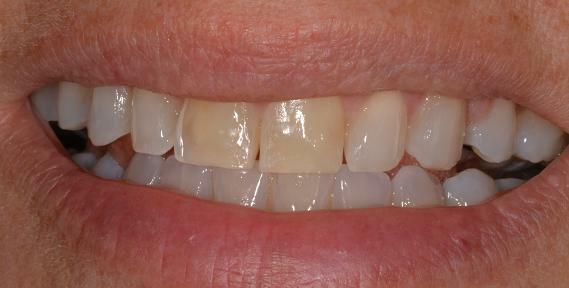 Please contact me for a free cosmetic consultation if you are considering dentistry for your front teeth. "Breathless" "Amazing. Truly Amazing." Dr. Dennis Brown, Owensville, OH. "Inspiring, mad skills and awesome in my book." Ryan Moosai, Trinidad Tobago. The above cases are what our results look like typically when treating an entire smile with cosmetic dental bonding, or composite veneers. It looks natural, but whiter and very beautiful. Teeth have to flow with the face form, the symmertry of the face, and also the countours of the lips. This takes a lot of skill from your dentist to achieve such a highly natural and improved result. This patient was thrilled and emotionally overjoyed. Many cases are an even number of front teeth. This case below was the two front teeth. 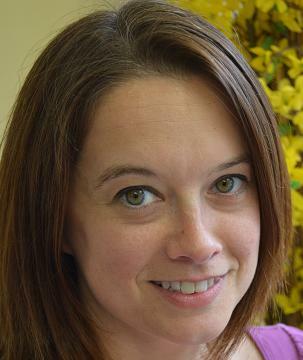 They had previous restorations that were removed for orthodontics and then needed new veneers. I discusseed the benefits of doing them with composite resin. 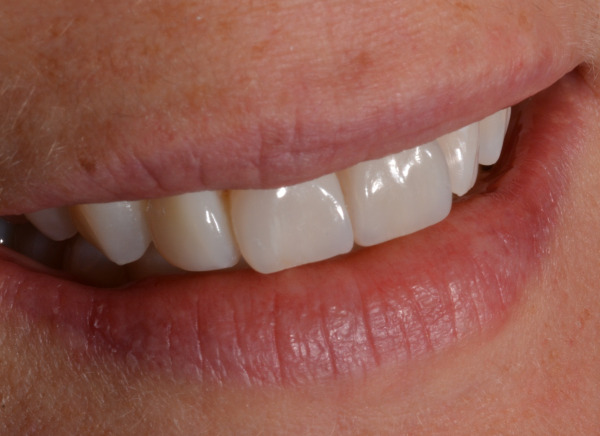 It is repairable, done more artistically than porcelain (unless a master technician is used), lasts a very long time, rarely requires tooth structure removal, and is more affordable. Below are the same teeth about two hours later. 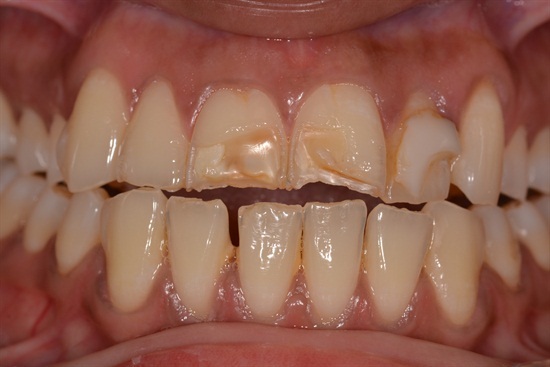 Please note the delicate natural enamel crack lines that are typical for this patient's teeth. She was impressed and thought this result was magnificent and natural. Frequently, cosmetic dentistry will only need to treat one tooth to make a smile look more desireable. 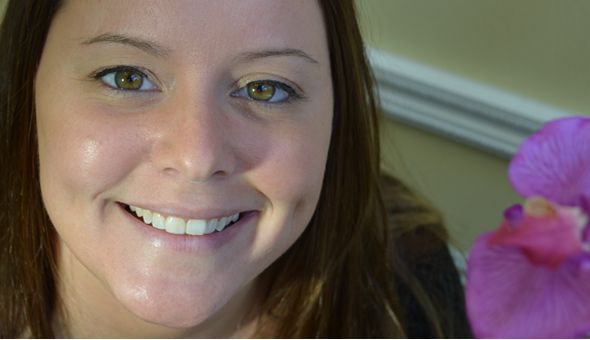 The next case is an example of cosmetic dental bonding performed at our Towson dental office. "Oh wow, which tooth did you fix? I can't tell I'm so happy!" 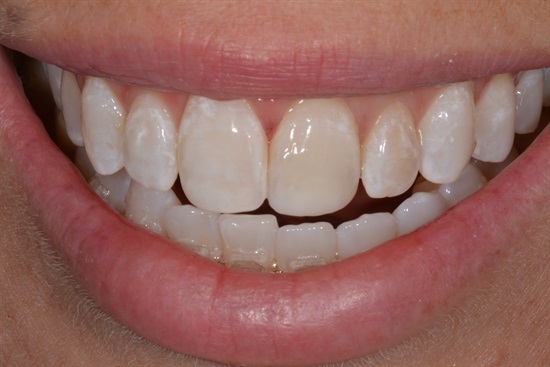 Here is another case completed at our Towson dental practice August, 2014. This patient was also very unhappy with the appearance of her front tooth. 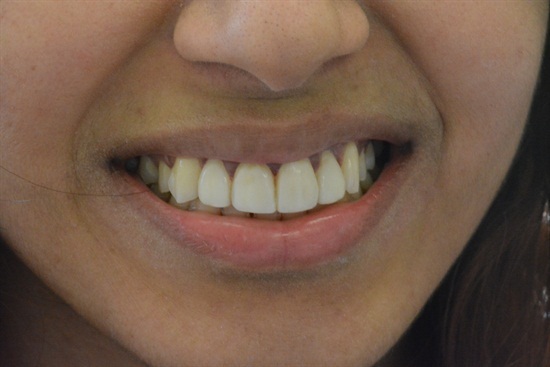 She was told that she needed major gum surgery and 8 veneers to correct this smile. To me she needed very minimal gum contouring, and just one direct composite veneer, done artistically, to match the other front tooth. 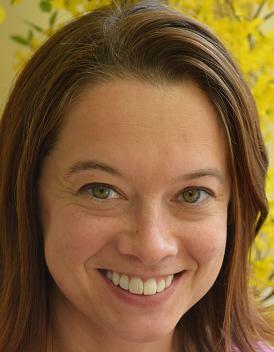 "Doctor Kuzmak is an amazing artist who is also amazing at front tooth dentistry. I can't believe how awesome my smile looks. I can't thank Dr. Kuzmak enough for taking such time and care in making my front teeth look right. He was so gentle and showed such care and skill it felt great. My only compaint is not finding Dr. Kuzmak as my dentist years ago." Many patients just need a regular cleaning and an exam to make sure there's no cavities. This may be you ! We have many patients , from age 2 to 102, that have been seeing us regularly for decades! There are many people who just need a few fillings, or have a broken tooth, or a nagging toothache. We can take care of all of those needs! We can provide you with a whiter smile as well! Not much beats a bright smile! We offer several whitening options to suit your needs. 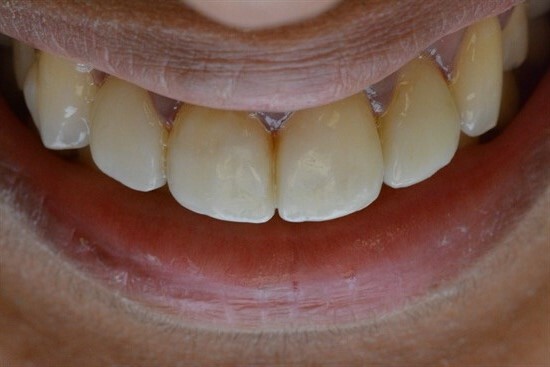 Below is a case of cosmetic dental bonding. This is done in our office and is something that I pride myself at being artistic and extremely natural in restoring smiles. And continued to smile saying "I love my new smile!" "I LOVE my new teeth. Holy Cow!!! I can't stop smiling. I can't believe these are my new teeth!" If you have many broken teeth, or missing teeth, we can offer you wonderful services to fix those teeth, or remove them if needed. 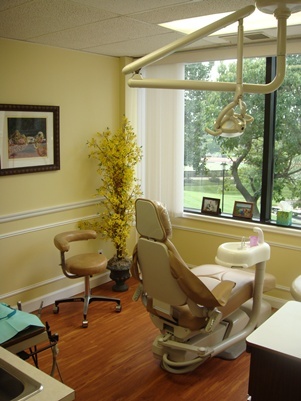 We will provide you with all of the options that modern dentistry can provide to replace them. We will present clearly to you the options and their benefits. We ALWAYS can work within your budget. No matter what it is. Please feel free to inform us of any budgets as we discuss treatment options.